Your iPhone makes a lot of sounds. It dings when you get a new notification, rings when you get a phone call, and screeches when you set an alarm for the morning. Things are great when your iPhone makes the sounds it’s supposed to make. However, that doesn’t always happen. A lot of time, the problem isn’t your iPhone making strange sounds — it’s your iPhone making no sound at all! 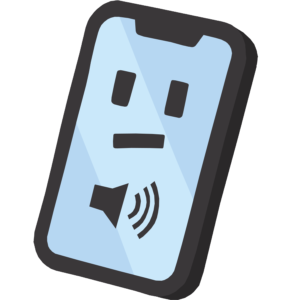 Our Sounds articles will help you fix the problem when your iPhone makes weird noises or no noise at all. iPhone 6 Stuck In Headphone Mode? Here’s Why & The Fix! iPhone 7 Not Vibrating? Here’s Why & The Real Fix! iPhone 7 Plus Speaker Problem? Here’s Why & The Real Fix. iPhone 7 Speaker Not Working? Here’s The Real Reason Why & Fix!